March is a wonderful time of year. Winter is officially over, the 1st day of spring has sprung, flowers are in bloom, birds are chirping and of course we can’t forget the week long fiesta known as ‘Spring Break’ is also in March. Other than these wonderful things happening this month, another great promotional opportunity has happened for a well deserving Venterra Veteran! 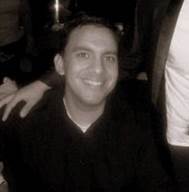 Joey Zamora joined Venterra in April of 2007 as a Leasing Consultant in Austin, Texas working at Waters Edge and Bradford Pointe Apartments. In those 6 years, Joey has won numerous awards including Top Shops, Highest Achievers and was also Venterra’s Leasing Consultant of the year in 2010! Among those accomplishments, he also was instrumental in helping train new Leasing Consultants in the Austin area throughout his tenure. In order to achieve success of this magnitude, Joey feels it’s important to always set high standards as well as professional goals that include daily, weekly and monthly goals. To ensure his goals are indeed a reality, he makes sure to always, no matter the situation, put his best foot forward. Most recently, Joey was promoted to Assistant Property Manager at The Villas of Bristol Heights! Joey is a very social person and enjoys spending time with friends and family. He also really enjoys traveling around the world and has visited Vancouver, Belgium, Ireland, London and Germany. Congratulations on your recent promotion Joey! We can’t wait to see all of the great things you will bring to the table!